Aaron O’Connell has blurred that distinction and created an object that is visible to the unaided eye, but provably in two places at the same time. Physicists are used to the idea that subatomic particles behave according to the bizarre rules of quantum mechanics, completely different to human-scale objects. A good example of this is the double slit experiment. 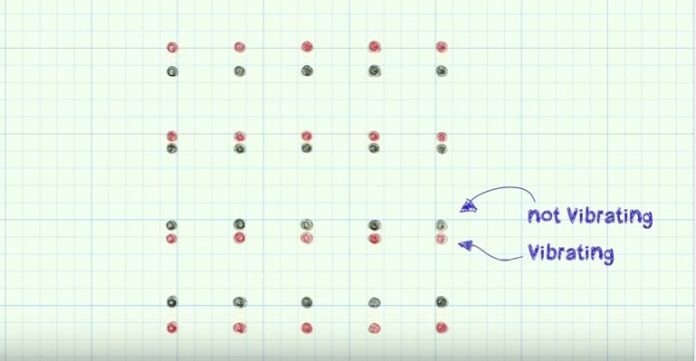 In a new breakthrough experiment, Aaron O’Connell has blurred that distinction and created an object that is visible to the unaided eye, but provably in two places at the same time. In this talk he suggests an intriguing way of thinking about the result.